We all know that fashion at its core is far from sustainable. It actually has one of the highest ecological footprints (second largest polluter of the world, the first being oil). With that being said, designers and people surrounding this industry have been finding alternatives to help make it a little bit more sustainable. Brands have started taking matters into their own hands by using natural ways to dye fabric. 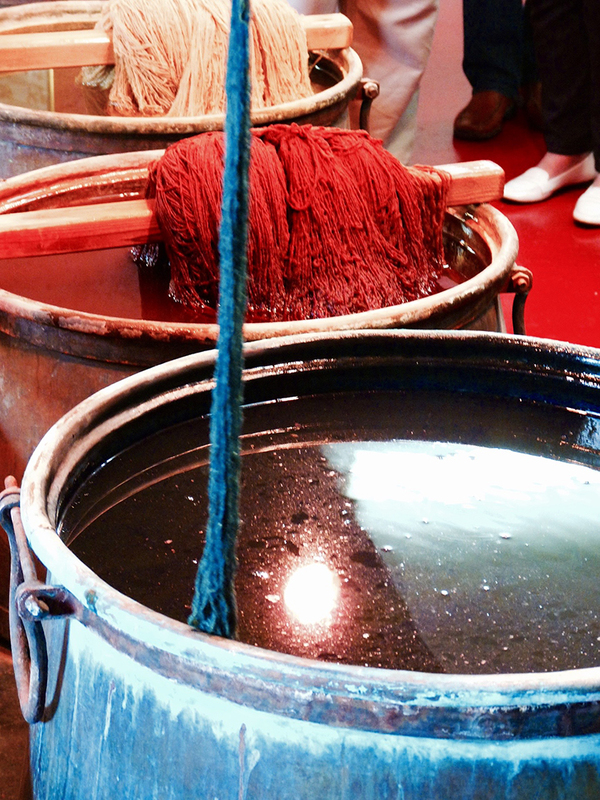 Fragmentario is a Brooklyn based natural dye company founded by a Parson’s graduate, Maria Elena Pombo. She figured out that you could use an avocado pit to turn cotton into a deep crimson color, meanwhile onion skins could turn silk into rich warm yellow/purple tones. The unique thing about using natural techniques to dye fabrics is that each piece will vary due to the fabric type, the length of time its submerged for, and even the mineral content of the water will affect the finished product. Also, the type of plant, root, flower, or even food will change the fabric in a different way. Meaning, an avocado from America will leave a different hue then one grown abroad. So what’s the environmental appeal to natural dying? The majority of the products used to dye these fabrics would’ve been thrown away (avocado pits and vegetable skins to name a few). Pombo visits local co-ops and other food stores to take their scraps so she can compost it for her dyes. Not to mention, with natural dyeing there’s no exposure to harsh chemicals. That means clothing, workers, and the environment all get a little of a break. Things like this really make you think, we ask so many questions about how our food is produced that you’d think this one would be next.